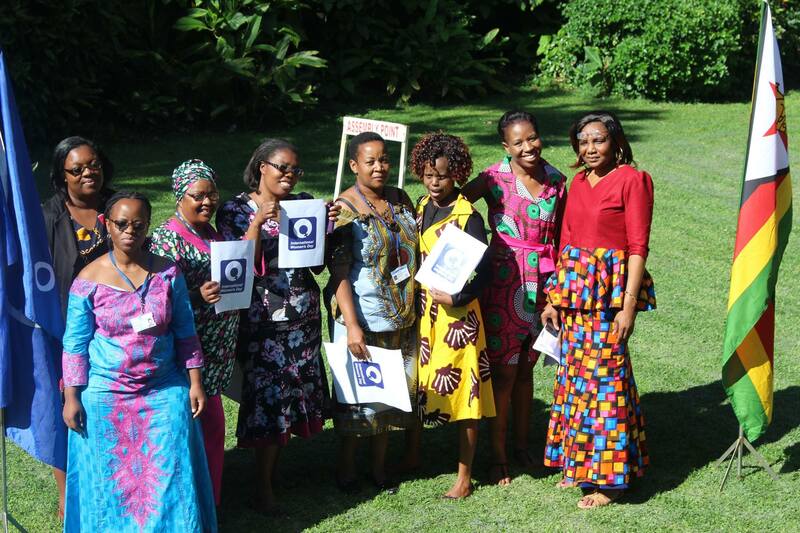 On 8 March 2017, to celebrate International Women’s Day, Zimbabwe commemorated the day under the theme, “The woman we want is bankable, business minded, brainy, beautiful, bold, blessed and balanced”. Thousands of women and girls gathered at the Harare International Conference Center where they celebrated the day at a colorful event that was punctuated by song and dance. Speaking at the event, United Nations Resident Coordinator in Zimbabwe Bishow Parajuli said Zimbabwe has made great strides in women empowerment and gender equality with more to be done. He commended figures including women representation in parliament at 35 percent, which was higher than the global average of 23 percent. Zimbabwe had also achieved gender parity in primary education and had enacted several laws to protect women and girls from gender based violence and other abuses. Women’s Affairs Minister Nyasha Chikwinya challenged women to play their part in the development of the nation. She said her ministry was at an advanced stage of setting up a women’s bank to cater for financial needs of women. The first women’s bank in the country is set to provide financial assistance to small and medium enterprises run by women. Harare Metropolitan Acting Provincial Development Officer Mr. Ernest Chimboza was the guest of Honour from the Ministry of women’s Affairs, Gender and Community Development at a luncheon organised by ActionAid Zimbabwe with Students and Youths Working on reproductive Health Action Team (SAYWHAT) and the Zimbabwe Women Lawyers Association (ZWLA). They celebrated the progress being made under the She Can project and called for partners to continue complementing Government efforts in supporting women.